Understanding the role of iterations is an important topic within design research and design practice. Iterations often involve rework and thus often increased costs and completion time. Many theories and studies ascribe iterations either to the social or technical complexity of the design process. Here, we join the two perspectives by analysing metadata of more than 3000 documents produced during the design of a biomass power plant. We gain insights by using network analysis and by visualising the temporal unfolding of the design process. Subsequently, we develop a statistical model to rigorously test multiple hypotheses showing that iterations are a combination of technical and social factors. The paper shows that iterations increase when the number of stakeholders/participants increases and when external suppliers are involved. Iterations are lower in presence of integrative activities. Furthermore, the paper shows the existence of synergistic interactions between nodes’ in-going and out-going flow in both activity and team networks associated with an increase in iterations. We thank the case company for their continued support. The work reported in this paper is part-funded by the EuroTech Universities Alliance programme, including the Technical University of Denmark and the Technical University of Munich. 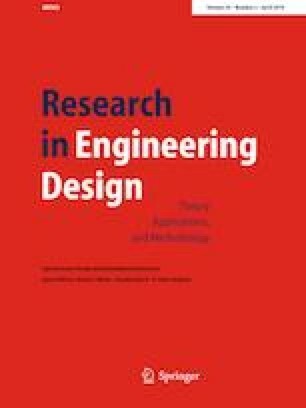 The exploratory data analysis contained in this paper has been presented at the 21st International Conference on Engineering Design (ICED17) (Piccolo et al. 2017).